That is adorable! 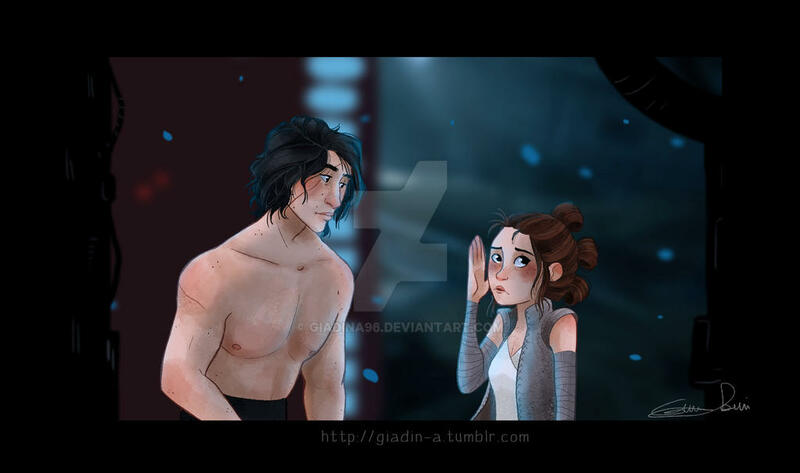 I admit when I first saw this scene in the movie I was surprised and thought that it was completely pointless to have Adam Driver to be shirtless in the movie, kind of like Chris Hemsworth being shirtless in the Thor films, I don't know if it was because they were trying to make the movie more funny, or if they were pointing out that Rey and Kylo might be a 'thing', (and that fact that it was Snoke who was responsible for Rey and Kylo communicating through the force, why he'd have them communicate when Kylo is shirtless is puzzling to me) but Rey's reaction and response was hilarious and who've thought that Adam looked that good underneath that cloak! (I've seen him in other films, I always thought he was a tall skinny dude, but damn!) Again, love the pic, so adorable! I love the memes that sprang up. I even made one. OMG SAAAAAME except I did. 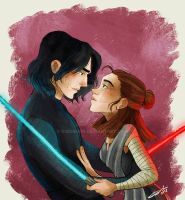 ;w; REYLO FOR LIFE THOUGH. I love his facial expression! "My friend saw Kylo Ren in the shower. 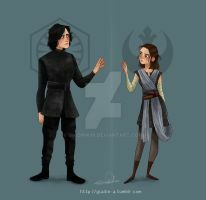 He told me Kylo has an 8-pack." 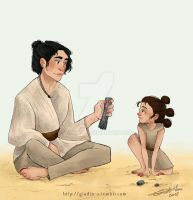 Oh my gosh, Rey's face!! Love-love-love this! !